For some reason, elephants have been a theme in my reading this year. It started in the spring with a novel called The Tusk that Did the Damage, which was about nature documentaries and poaching, and included chapters from an elephant’s point of view. Then, I read a brilliant mystery/thriller called Ivory Ghosts that took place at a preserve in Africa and involved a really awesome female lead who saved animals and fought crime. There’s a scene in the beginning of the novel where she looks out the window and an elephant is standing outside, and it was a magical moment before the action started. 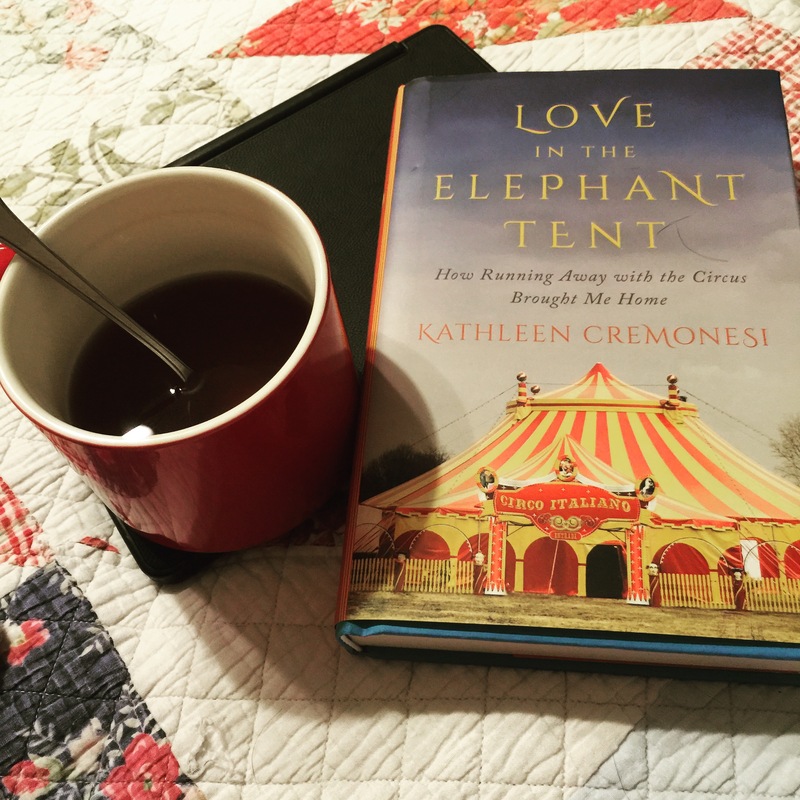 Right now, I’m re-reading a memoir Love in the Elephant Tent for review on Friday (I received the book months ago, so I need to refresh my memory) and I’m really enjoying the author’s story about dropping into a European traveling circus with no circus skills, and falling for the elephant trainer. But this isn’t the first encounter I’ve had with elephants. – I read Sarah Gruen’s Water for Elephants years ago on a plane ride home from Mexico. In fact, I bought my copy in the airport in Mexico city. – I had an up-close and personal elephant encounter with the guy I dated before I met my husband, at Marine World. There was finger painting involved. – I rode an elephant on a visit to the circus with my mother when I was a kid. Nine or ten I think. I know there’s a lot of controversy about elephants in circuses. I also know that the modern incarnation of Ringling Brothers is doing a lot for elephant conservation. Every time I’ve encountered elephants – on television, in a performance venue, or in literature, it’s brought magic into my life. With this many elephant-related books in my life this year, I can’t help but think this “elephant summer” will be pretty special.